JUST BECAUSE APRIL PRIZE WINNERS! Hello, my dear duckies! Happy Thursday to you all - I hope you're having a fine time wherever in the world you are, even if you are hiding from the rain and the icy wind under three layers of blankets (like me). Today, as promised, I announce the winners of the Just Because April Giveaway. All of you guys that entered by leaving a comment (on either the original giveaway or the revised one) were assigned a number, and then I used a random number generator to pick three of you out to win. * Signed and personalised bookplates. * FrostFire and Shadows on the Moon swag. Congratulations, you guys! I hope you're happy. Please email me ASAP with your postal addresses and I will send your prizes out to you (I have a feeling one of you may have won a giveaway from the blog before? But you still need to email me, because my chances of being able to find your address among the insane disorganisation of my inbox are pretty much nil). 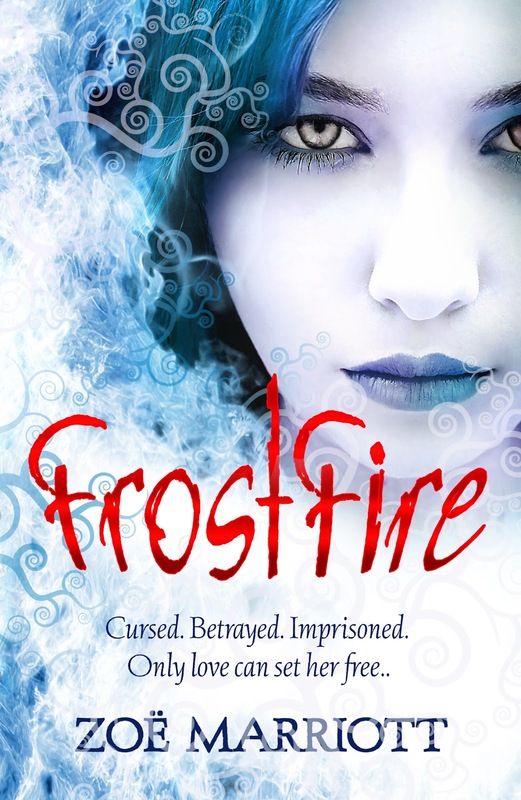 * A pre-order of the UK paperback of FrostFire sent directly from the Book Depository to you the moment the book is available (or one of my author copies, depending on which would reach you quicker). * A rare signed and personalised Advanced Readers Copy of the U.S. version of Shadows on the Moon, with the all-new versions of the haiku which I wrote especially to be more faithful to a Japanese aesthetic. 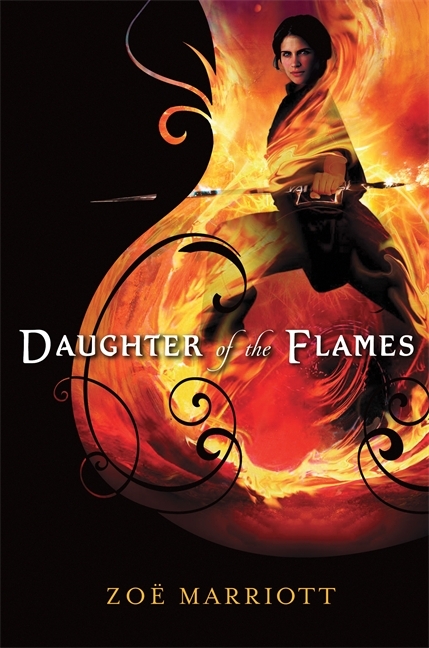 * An extremely pretty signed and personalised U.S. hardcover of Daughter of the Flames (according to Amazon and the Book Depo these are no longer available from Candlewick Press, so you probably want to get your hands on this while you can). * FrostFire swag - full-colour postcards and magnets - and assorted Shadows on the Moon swag. * A secret surprise item! Wow, that was really tiring. Phew! 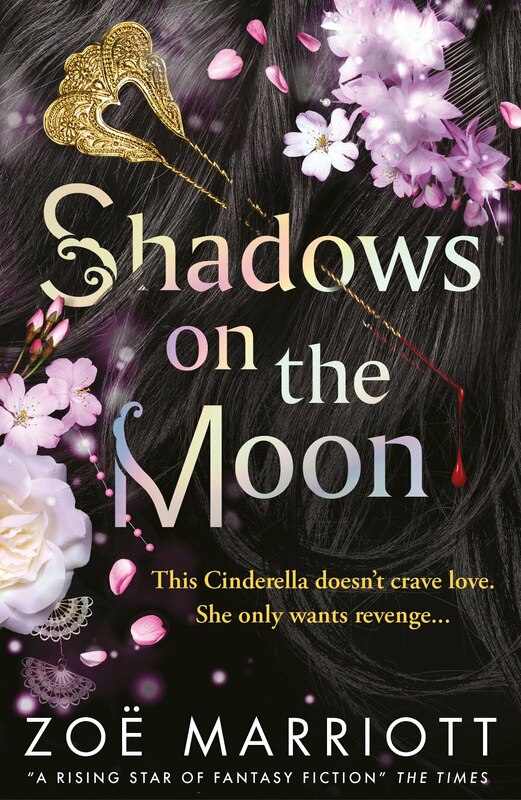 However, if you've not had your fill of excitement for the day, here's a link to a blog put together by Bonnie of A Backwards Story to celebrate the U.S. release of Shadows on the Moon. She's analysed the differences in the haiku between the U.S. and UK of the book, and even got me to tell her the inside scoop on how they happened, as well as reviewing the book and comparing the covers. Awesome, right? Go give her some love. Also, you may have noticed a dinky new feature in the sidebar on the right - a progress metre for each of the Katana books and the trilogy as a whole. What do you think? Are you interested in knowing this stuff, or does it just clutter up the joint? Oh, and one more thing: I'm going to have an early start and a busy day on Thursday, so I'm posting this just a tiny bit early (actually, slightly before I said I was going to pick the winners, which was midnight - I just didn't think anyone else was likely to enter at this point). But even though it says Wednesday up there, this still counts as Thursday's post, not an extra Wednesday one. Get it? Got it? Good. And now it's time to take Finn on a last ramble around the block before bed. Au revoir, Dear Readers. See you on Tuesday! Welcome to the world, Shadows on the Moon (U.S. edition). Today is your release date, four years to the month since I began work on you back in 2008. It's been a very long wait, but you are worth it. 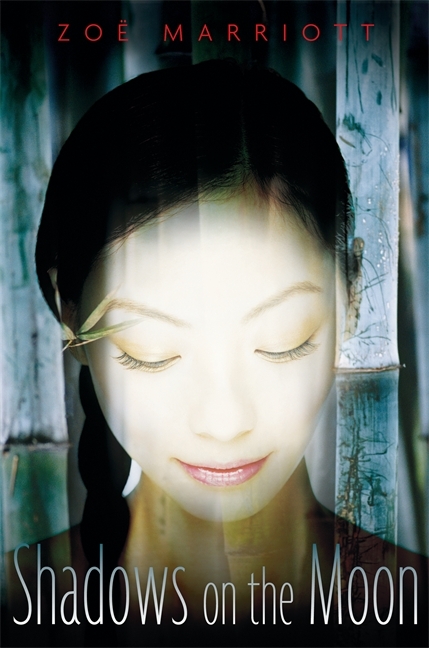 You have a beautifully subtle, understated cover which does not conform to any of those #Racefail or Dead Girl Cover trends, and which hints wonderfully at the story within. You have dove-grey boards and shining red foiling and end papers. You have an audiobook version which I simply cannot wait to listen to. You have re-vamped haiku, a stunning internal design, and you already have some lovely blog reviews, a thumbs up from Kirkus (which neither of your older sisters managed, look you) and a Junior Library Guild Selection. I've also just found out - with wonderment and delight - that you are to be included on the Summer 2012 Kids' Indie Next List as an "Inspired Recommendation for Kids from Indie Booksellers". I have often watched wistfully as other authors celebrated inclusion on this list in their Twitter feed. My congratulations and happiness for them were genuine, but I did wish that one day a book of mine might join them. You have made that dream a reality, Shadows on the Moon (U.S. edition) and I will always be so grateful to you for that. 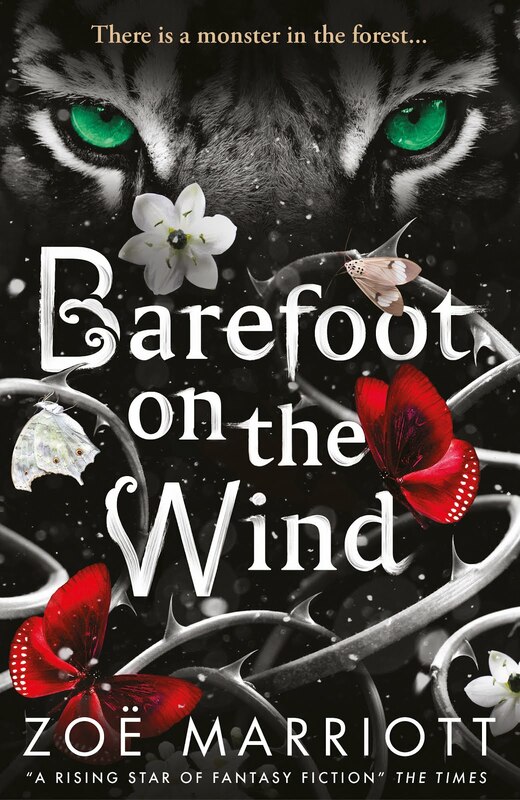 By lucky coincidence, it's Fairytale Fortnight again, and the lovely Misty has posted an interview in which she asks very interesting questions, and I talk about you Shadows on the Moon! And also fairytales in general, and my next project set in The Moonlit Lands/Tsuki no Hikari no Kuni (yes, there is one! You'll have a little sister one day). There's also a giveaway of a copy of you on her blog here. Oh, and she reviewed you, as well, and said such lovely things. Are you blushing, Shadows on the Moon (U.S. edition)? You should be. Listen, Shadows on the Moon (U.S edition). I'm your author, and like all authors I have many hopes for you as you venture out into the world on your own. I hope that you will do wonderful things, win prizes, make lots and lots (and lots!) of friends who will take you home from the bookshop or order you online. But my greatest hope for you - and for all my books, both the ones already written and the ones yet to come - is that people will see you. That they will percieve the beautiful, sincere heart beating away within you, and forgive your inevitable flaws. I want you to be seen and remembered. And if you achieve that, I will be content. Ahem. Oh, good morning/afternoon/evening/night Dear Readers! Has everyone entered the Just Because April Giveaway? It's only open until midnight tomorrow, so if you want those fabulous prizes you'd better get a wriggle on! I'll be announcing the winners on Thursday. Next week I've got an exciting new scheme that I want to talk about and get as many of you involved in as possible. I'll tell you that I'm calling it InCreWriMa (and if you can work out what that stands for you get a gold star) but all the rest will have to wait! It's a surprise! In the meantime, let's have some music from The Legend of Korra, the new animated series which is a companion to Avatar: The Last Airbender (I wish I could link you to the official site, but the Nick website won't allow it - thanks a bunch Nickelodean) and which is currently BLOWING MY MIND BAYBEE. This got me through writing a really spooky scene in Katana Book #2 over the weekend :) See you on Thursday, honey-buns. Hello, and Happy Thursday, my lovelies! The idea for today's post comes from the marvellous Sarah Rees Brennan, who made an 8Tracks playlist for her upcoming new novel UNSPOKEN. Which, by the way, I have read in eGalley form - and it blew my socks off. Go get that when it comes out! Listening to this brilliant playlist inspired me to upload some of the songs from my own writing related playlists onto 8Tracks. Not all of them, you ask? No, I say, because each track lates maybe a minute to upload, and the actual playlists that I use to write with are normally a couple of hours long. Yeah. I don't have that much spare time. But I have given you aaaall of my favourites. Or...well, the ones that would upload. For some reason 8Tracks doesn't like MPEG4? Which apparently half my songs are? Oh, well. You're still getting a pretty good sampling, way better than I do can by embedding YouTube vids, which is what I have done in the past. I also wanted to show you my list of Pinterest boards. I've added a couple, and have also pinned many, many new images (some of which are a tad spoilerific, not just for FrostFire and The Katana Trilogy, but also for other distant future projects!). Check it out. Oh, by the way? Did you enter the Just Because April Giveaway yet? If not, go get on that. The closing date is 25th of April. Hello - Happy Tuesday, my lovelies. Today it's time to set up a new giveaway to replace the one I've decided to withdraw. Don't worry! If you already voted/commented on the last post, your entry will still be counted. But the new giveaway has new entry rules, and you can enter again if you want. The prizes are also slightly different, so pay attention now! A pre-order of the UK paperback of FrostFire sent directly from the Book Depository to you the moment the book is available (alternately, you might get one of my finished author copies, depending on which would reach you quicker). A rare signed and personalised Advanced Readers Copy of the U.S. version of Shadows on the Moon, with the all-new versions of the haiku which I wrote especially to be more faithful to a Japanese aesthetic. An extremely pretty signed and personalised U.S. hardcover of Daughter of the Flames (according to Amazon and the Book Depo these are no longer available from Candlewick Press, so you probably want to get your hands on this while you can). FrostFire swag - full-colour postcards and magnets - and assorted Shadows on the Moon swag. A special, super-secret, mysterious surprise. FrostFire and Shadows on the Moon swag. That same special surprise. No, I'm not telling. Because it wouldn't be a surprise then, would it?! What do you need to do to enter this new Just Because April Giveaway? Simplez! You spread the word about this giveaway so that as many people as possible will have a chance to win the goodies. Tweet it. Facebook it. Put a link on your blog. Share it in whatever way you like (with the proviso that you do not hop onto other people's comment trails and post the details there, since that makes them feel like they are being spammed - and that's not what we want!). When you've shared the contest's details, come back here and comment, including a link to the place where you have shared. You can share as many times as you like, but make sure you put each link in a separate comment (and obviously don't Tweet or FB the same thing over and over - again, that's spamming). REMEMBER: One link per comment. Only comment if you are entering. No chitchat in the comments - this trail is just for the giveaway. Do not mess with the Random-Number-Generator-no-Jutsu. ONLY COMMENT WITH AN ENTRY. Now, I know that my giveaways are normally all international. I do this because I want to always include my readers in other countries and let them know how much I appreciate them. I really do love you guys! But money's a bit tight for me right now. I just can't afford to send a big parcel by airmail. So while everyone is free to enter this giveaway, I'm afraid that I can only offer the grand prize to entrants who have a UK postal address. But the runners up prizes are open to everyone, which I hope makes it a little better. I'm hoping to be able to afford to do another big international giveaway later this year, too. Since this has delayed everything a bit, I've picked a new closing date for the giveaway: April 25th, which gives you two weeks to enter. I'll pick the winners after midnight on the 25th and post their details on Thursday 26th. I hope this is all clear and tickety-boo. If you've any questions, skip back to yesterday's post and pop them in the comment trail there. And that's all! Hello, Dear Readers. Today, I have some apologies to make. 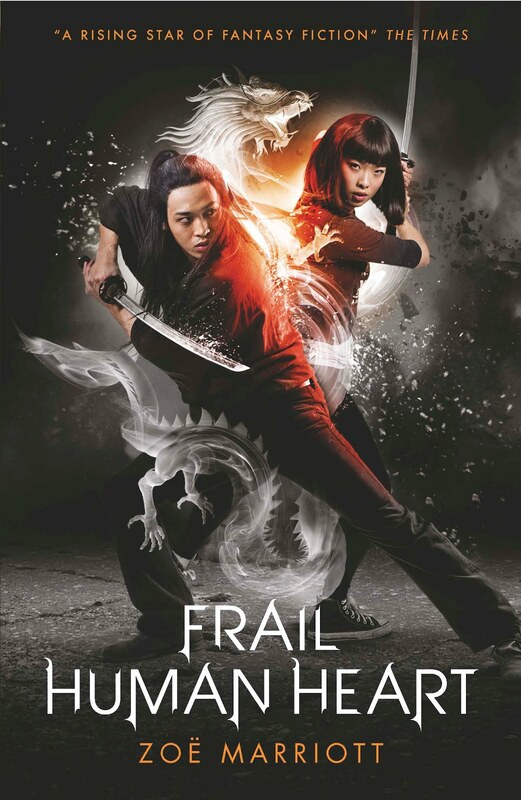 Remember how I said, in this post about Diversity in Fantasy and in my guest post on Ellen Oh's blog, that sometimes you mess up? And when you do, you need to be ready to admit it - admit that you did a stupid, jerky thing - and learn from that, and hope you do better next time? Well, the time has come for me to do that, as publicly as possible. I messed up, did a stupid jerky thing, and I hope that you will forgive me and allow me to do better next time. What am I talking about? Some of you may already know, but I'll lay it out. Last week I posted a giveaway on my blog in which I offered a variety of prizes, and I asked readers to vote for me in the Queen of Teen Award nominations. 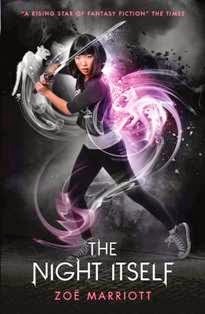 I wanted to try and get a fantasy author - preferably me - onto the Queen of Teen shortlist to encourage diversity and show girls that it's all right to love traditionally 'male' things like books about battles and magic and sword fights. I also wanted to say: "Hey, this award may be pink and sparkly, but it's still a great thing that we should support and be happy about." None of that was necessarily a bad idea. What was a bad idea was the way I went about it. Effectively - although I was too dim to realise this until it was pointed out to me - I was offering prizes for votes. And that? WAS NOT OKAY. I had fallen into that dangerous mindset - the one where you're a Crusader on the Side of Right - and where it's all too easy to do dodgy stuff and assume that it's fine because you're one of good guys. If you do it, and for all these good reasons, it's not dodgy right? No and no, and a thousand times, NO. There is no excuse for the dodgy thing I did. It was wrong of me to set up a giveaway in which I effectively bribed people with entries for voting. Especially because I had been given a bunch of Queen of Teen swag - badges and whatnot - and was giving them away too, making it seem as if I had some sort of official sanction from the organisers of the award. I'm lucky that a kind, lovely author decided to pop her head up above the parapet and explain to me what my actions looked like from outside my little Crusader on the Side of Right bubble. And I hope that by withdrawing the giveaway and telling you that no more entries will be offered in return for votes, I can show everyone that I understand how very dim I was, and that I'm sorry. I also want to say, completely up-front and without quibbling, that I admire writers of contemporary fiction for girls tremendously. I know that your work is vital, and much under-valued. I know that you tackle important, every day issues which genuinely affect the lives of today's young adults, and deal with those issues with humour and poignancy and truth. You face quite enough prejudice and quite enough othering and dismissal because you dare to dedicate your lives to fiction which is accessible to young women (because in our society nothing is more fatal to being taken seriously than this) and because publishers tend to put pretty, feminine covers on your stories (le gasp!). I know, I know. What a stupid thing to say, right? I was trying to communicate the idea that the way the award is currently presented might encourage certain stereotypical assumptions of what YA is about. But my natural tendency to open my mouth and insert both feet and the limitations of 140 characters made it seem like I was aiming this comment at contemporary fiction writers. That must have felt like a slap in the face. You must have wanted to slap me in the face. I don't blame you one bit. I'm so sorry to anyone who felt dismissed and othered because of my stupid, thoughtless comments. I do not want to be forever known as That Dim Fantasy Chick Who Thought It Was OK to Buy Votes. Or That Dim Fantasy Chick Who Had No Respect For Writers of Contemporary Fiction. If you want to think of me merely as That Dim Fantasy Chick? That's fine by me. It would be a vast improvement. Anyone who, now that the ice is broken, would like to email me or comment to let me know what they think about my actions is welcome to do so. Thanks for reading - and I hope that you can eventually forgive me. So...if you have already entered the giveaway, what does this mean for you? Well, at first I wanted to withdraw the giveaway altogether and draw a line under it. But I've been persuaded that it would not be fair to penalise my readers for my mistakes, which is a completely fair point. You guys didn't do anything wrong. Therefore, I will still be doing a giveaway (though with slightly different prizes and without any link to Queen of Teen). I'll give more details on that tomorrow. Rest assured that everyone who commented on the original post will have their entries counted - that's only fair, since they acted in good faith - but please, please, please don't do anymore Queen of Teen voting. Votes will no longer be counted as entries! I can't emphasize that enough. Phew. OK. Have a good Monday everyone, and I'll be back tomorrow. Hello, hello, hello my lovely readers! I hope you are all having a spiffy sort of Thursday? Today, I am happy. I am happy because my dad's new home dialysis therapy is going very well and he's more sprightly than I've seen him in years. I'm happy because Katana Book #2 is going well. I'm happy because before the end of this month Shadows on the Moon will be released in the U.S. in a beautiful hardcover and in my very first audiobook, and ALSO in Poland, which is my very first non-English language edition. The best thing about happiness? You can share it! I want to give YOU all a portion of my generally joyful mood. And so: a huge blowout giveaway full of interesting one-of-a-kind items! Some of this stuff comes from the lovely people at The Queen of Teen Award. Some of it comes from my lovely publisher (hello Walker Folks!). Some of it comes directly from me. Let me tell you more. A pre-order of the UK paperback of FrostFire sent directly from the Book Depository to you the moment the book is available. FrostFire swag - full-colour postcards and magnets! Signed and personalised bookplates to stick in your books. Queen of Teen badges, a poster, and bookmarks. The first two chapters of The Katana Trilogy, Book One: The Night Itself, printed out right here in my Writing Cave on my very own printer. Only my editor and my agent have seen this, and it will not be released for publication until 2013! It is a world exclusive! The first chapter of The Katana Trilogy: Book One, The Night Itself, printed out right here in my very own Writing Cave on my very own printer. This is the only way you will get to read this chapter for AT LEAST a year. So, my pretties, what do you have to do to enter for a chance to win all these glorious goodies? Well, remember me talking about the Queen of Teen Award before? I'd still very much like to win that, my lovelies, and I don't think, so far, that we've done enough to get me there. Maybe it's not possible. But it would be great to get onto the shortlist at least! And so, I'm going to ask you to vote, if you haven't already. Or get a friend, or a family member to vote, or a school friend. Anyone who is between the ages of nine and eighteen is eligible. I mean, don't blackmail them into it, or anything - you can refer them to my post here, or just explain to them the high level of awesomeness in fantasy with strong female characters and why it would be even more awesome if a fantasy author won this. Then for every person (including yourself) who votes for me in the Queen of Teen nominations, you leave a SEPARATE comment in the comment trail of this post. This is very important. Only leave a comment to tell me that you (or someone else) has voted. I know normally we have a nice chat there and I respond to all the comments, but not this time - it will interfere with my Random-Number-Generator-no-Jutsu. Get your whole family between the ages of nine and eighteen to vote? Get a whole family's worth of chances to win! And yes, if you already voted, that counts - just leave a comment. We're going to go on the honour system here, because I have no way of cracking open the Queen of Teen voting database to check if what you've said is true. But I love you guys and I hope that you wouldn't lie to me, so I'm OK with that. This competition is open internationally - with the proviso that the Book Depo delivers to your country. The competition will finish at midnight on Friday the 20th of April (which is when voting for the Queen of Teen Award is over). I will announce the winner right here on Tuesday 24th of April. Go to it, my delightful readers! VOTE NOW. Hello and Happy Tuesday Dear Readers! Shadows on the Moon audiobook sample. What do you all think? I really love Amy Rubinate's voice - I can't wait to see how her portrayal of Suzume evolves as as the character does, first into Rin, and then Yue. 3) An update about The Katana Trilogy! 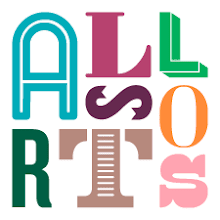 I've just sent back round two of edits on The Night Itself, which included my American editor's suggestions, and we're still on track for publication next year - hopefully in early July, although of course everything is subject to change until it actually happens. I'm now hard at work on Katana #2 again (still not sure how I'm going to reveal the title - I feel like it ought to be a special occasion, so I might do a big giveaway or something). And by 'back at work' I mean, deleting all three chapters that I had written thus far and starting again from scratch because the combined changes wrought by two rounds of edits on Katana #1 mean none of the stuff I wrote before works anymore. All part of the joy of writing a trilogy. Although actually I feel rather relaxed and happy about the whole thing. Also part of the joy of writing a trilogy? Who knows?! 4) The wonderful, sublime and brilliant Erin Bow (author of the wonderful, sublime, brilliant novel Plain Kate, or Wood Angel in the UK) has recommended Shadows on the Moon on her blog, and brought a little tear of joy to my eye. Thank you, Erin! 5) SURPRISE FIFTH ITEM! Ha ha, that's never going to get old. I bring you the new trailer for Snow White and the Huntsman, my most anticipated film of this year now that I've seen The Hunger Games (twice). Doesn't this look amazing? I can't wait. I do wish people would give poor Kristen Stewart a chance, though. Everyone who isn't a big Twilight fan seems to be piling on to give her a hard time, saying that she has only one expression and can't act. In fact, before she signed up for Twilight (which, at the time, was a small, independent film with a quirky director) she was known as an excellent serious actress. Yes, the films became an unstoppable juggernaut of cheesiness very quickly - but let's not blame the young actors involved for that. That's down to the directors and the producers who wanted to get these films out as quickly as possible and weren't interested in creating anything Oscar-worthy. A lot of other people are saying it was ridiculous to cast her because she's not 'pretty' enough to challenge Charlise Theron's Queen as Fairest of Them All. OK, Charlise Theron is probably one of the most physically perfect women who ever lived. But although Kristen's face doesn't have that level of conventional Hollywood perfection she *is* a very beautiful young woman. In fact, she's got the perfect snow white look in my opinion - and I would know, since I've read pretty much every illustrated version of this fairytale there is. Especially because in this film, (unlike the Twilight films, where she's wearing brown contacts which make her look very different) you can see Kristen's extremely unusual, striking green eyes. So come on, people! Let's be true Feminists and not be mean to KStew! Hopefully she will surprise us all. Hello and happy Thursday, everyone! Today I have some thoughts on The Hunger Games film that I would like to share. I saw it last Saturday, and I intend to go and see it again this Saturday (my birthday!) so that should tell you that I liked it. I was not at all sure that I would. I found reading the books such an emotionally intense, devastating experience - I haven't been that wrecked by a story for a long time. I'd intended to do a review of the trilogy for the blog after I was done with them, but regular readers will know that I never did. I didn't even mention having finished reading them. I couldn't. It was too personal and I felt too raw about it. So if the filmmakers had deviated too much from capturing the spirit of that harsh, noble, beautiful, terrible story, I would have loathed the film. It would have been very easy for them to alienate me. They already nearly did, once: I was one of those people who'd gotten the impression from the books that Katniss was mixed race, and I got a bit vocal about my disappointment when Jennifer Lawrence was cast. But then Suzanne Collins came out and said: Chill. You guys may have had an image of Katniss as mixed race in your heads and that's fine, but that's not what I actually wrote, and the filmmakers are working from the books, not your imaginations. And I think Jennifer Lawrence is right for this. So stop hatin'. And so I felt a bit ashamed of myself and stopped with the hatin'. But I was still reserving judgement. Then I went to see it for myself, and I found that I more than liked it. I LOVED it. Jennifer Lawrence. She had me in the first five minutes of the film. She had everything that the Katniss in my mind had. A combination of fawn-like awkwardness and still, graceful beauty, tough common sense and huge, frustrated, dignified maternal love. She will always be Katniss to me from now on. I'm sorry I ever doubted her. Josh Hutcherson. I didn't have the strong reaction against him that some readers did, but I can't say that the casting lit up my world or anything. Until I saw him on screen and he WAS Peeta. Peeta's sneaky humour and unexpected smoothness, Peeta's vulnerability, his sweetness, his fierce, honest strength. You've heard of people (like Cleopatra) that aren't especially attractive on first glance, but who have such a way about them that half an hour later you're convinced they're the most beautiful person you've ever met? That's Peeta. That's Josh Hutcherson's performance. Stunning. The direction. This is a story in which combat is the central feature - but it's not about that. That's the vehicle Suzanne Collins uses to show us so many other things, like courage and sacrifice and corruption and horror. But in the film you can't do what Suzanne Collins did and share with us Katniss's every thought and feeling so that we understand this. It would have been so easy to go the usual Hollywood route and produce slick fight scenes that would entertain us, get our blood pumping. But that would have been a betrayal of the central ideas of the story. Instead, Gary Ross shows the fights in the arena for what they are - a vicious, awful slaugher of innocents. These scenes, which often skipped music and sound efffects in order to lessen their cinematic quality, were sickening and brutal, and I'm so glad. Likewise, other moments of high emotion in the story were left to stand on the actor's performances (which were universally excellent) rather than being milked for sentimentality. Katniss's grief, Peeta's delirious confession - things I'd been looking forward to seeing for so long! - did not disappoint. Characterisation of minor players. I loved how they handled Cato, especially, but even the tributes that were never named each got a little shot, a moment where they lit up for the camera before they disappeared. I also include Gale in this. He doesn't have much to do here, and he was never one of my favourite characters anyway, but he felt a lot warmer and more...believable. I could see why Katniss liked him so much. I didn't think the movie was perfect, mind you. I thought it was a shame that the ending was so heavily truncated: that Peeta's leg was fixed up (it took away the sense of desperation which I'd liked), that we didn't see Katniss's joyful reunion with Cinna and Haymitch and the rest, or witness her terrible fear for Peeta. But the author was heavily involved in writing the screenplay, so I can only suppose she thought these changes were necessary, and I'm ready to live with that. There are a lot of other things I could meeble about, but I shan't. I just want you to go see this film, basically. And I also - given all that I've just said - I want to take moment and ask the media: WTF, dudes. Yeah, I got nothing. Just WTF? Jennifer Lawrence is certainly not as thin as, say, Lindsay Lohan. She is not frail or waif-like. Her legs do not resemble twigs, nor do her arms look like toothpicks. But do these guys honestly think that all people come in two types - skinny to the point of emaciation, and fat? In fact, Jennifer Lawrence looks incredibly lean and toned. She looks like a young woman who has been working hard to keep her family fed for several years, like someone who could string and draw a bow, bring down prey, skin and clean that prey and haul it back to her home. She looks like someone who could run through the forest for hours if she needed to, and survive cold nights out in the wilderness. Quite aside from the fact that Katniss's lifestyle would inevitably shape her body a certain way by packing hard, wiry muscle onto her, it's simple fact that a congenitally strong person - with a robust frame, broad shoulders and hips, and the tendency to build up muscle - would be more likely to thrive and breed in a subsistance level society like District Twelve, and pass those qualities onto their offspring. A skinny, small boned Katniss would be unrealistic not only from the perspective that she would be UNABLE to do what Katniss actually does in the story, but also because she'd be genetically unlikely to be born in the first place! I notice no one's criticising Jennifer's extremely well muscled, well nourished looking male co-stars. It's fine for them to look as if they've been eating enough to keep alive. Apparently it's only female actors who have to bow to 'realism' to such an extent that they should look gaunt, bony and as if trying to draw a bow would snap them in half. Hello, hello, hello, Dear Readers! Today, I bring you, not a post, but a LINK to a post on another blog - the rather lovely Ellen Oh's blog, to be precise. Go there at once! Check out the many wonderful and informative articles on diversity by people who are not me, and also the interview on diversity by a person who is me (also known as me). See? You would not believe the state of my hair right now. Read you later, my loves!